Crawling and indexing have been a hot topic over the last few years. As soon as Google launched Google Panda, people rushed to their server logs and crawling stats and began fixing their index bloat. All those problems didn’t exist in the “SEO = backlinks” era from a few years ago. With this exponential growth of technical SEO, we need to get more and more technical. That being said, we still don’t know how exactly Google crawls our websites. Many SEO still can’t tell the difference between crawling and indexing. 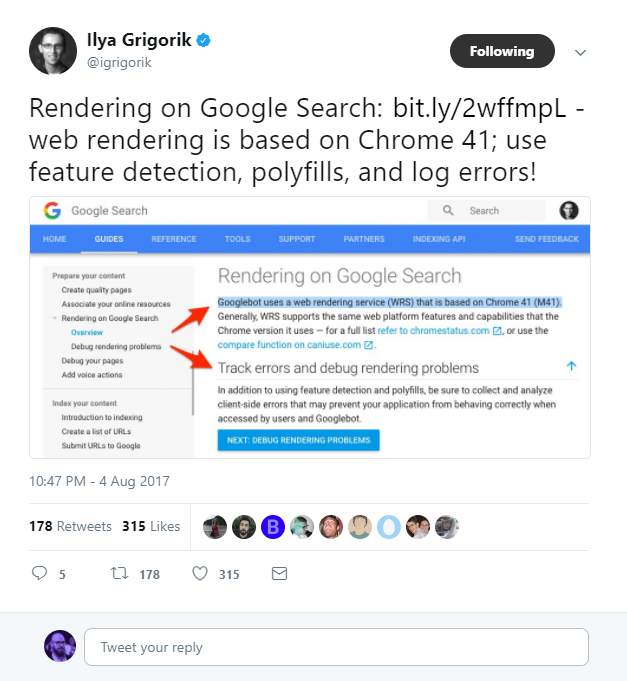 Knowing that Chrome 41 is the technology behind the Web Rendering Service is a game-changer. 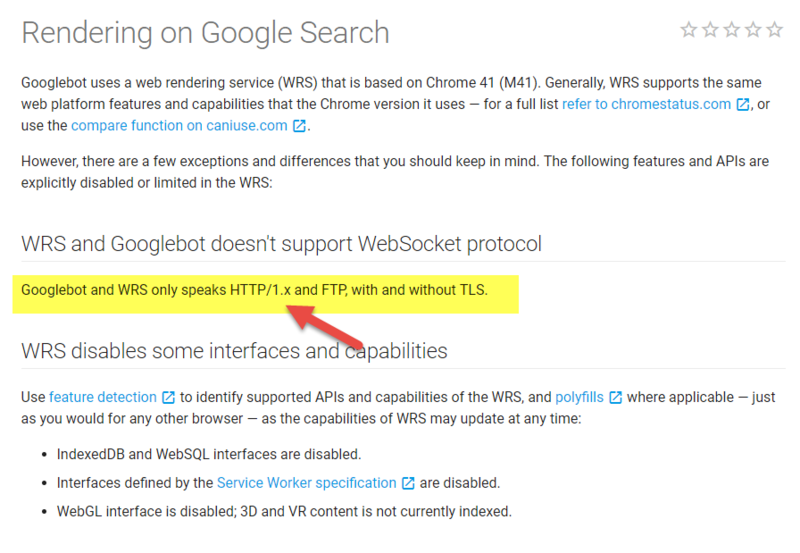 Before this announcement, our only solution was to use Fetch and Render in Google Search Console to see our page rendered by the Website Rendering Service (WRS). This means we can troubleshoot technical problems that would otherwise have required experimenting and creating staging environments. Now, all you need to do is download and install Chrome 41 to see how your website loads in the browser. Chrome 41 is a great tool for debugging Googlebot. However, sometimes (not often) there’s a situation in which Chrome 41 renders a page properly, but the screenshots from Google Fetch and Render suggest that Google can’t handle the page. 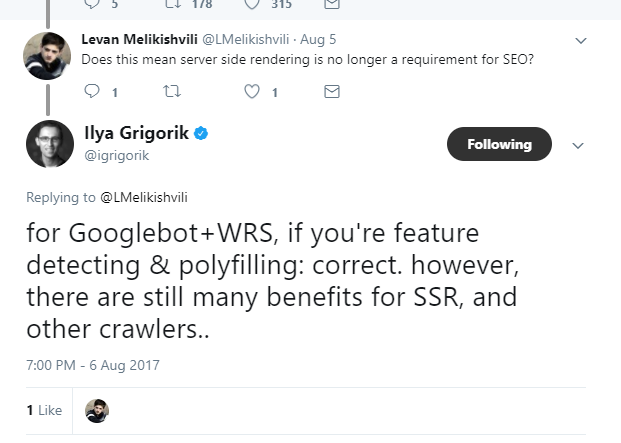 It could be caused by CSS animations and transitions, Googlebot timeouts, or the usage of features that Googlebot doesn’t support.